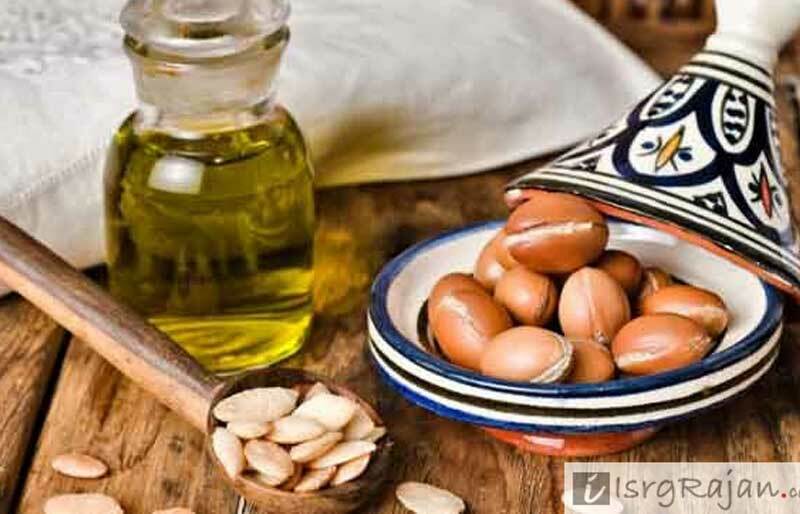 Argan oil is extracted from the kernels of the Argan Tree, most commonly found in Morocco. It is one of the most valuable oils due to its high nutritional value, thus making it expensive as well. It is a major ingredient in several hair and skin care products. Being non-greasy, easily absorbable and causing no irritation; it is very beneficial when used to moisturize the skin, making it soft and supple. It is anti-oxidant and anti-bacterial, protects against dryness and works as an anti-ageing oil as well. It also gives a natural glow to the skin if applied externally. It cures acne, scars, roughness and dry skin conditions. It makes the hair glow, soft, silky and brings in a shine to them. Therefore, it could be used as a conditioner as well. It also works as a healing agent for any kind of pain or sore, cracked heels, lips, nails or any kind of roughness and dryness in any body part. Ashwagandha, also known as the “Winter Cherry” is one of the most important herbs in Ayurvedic due to its immense medicinal properties. This herb used in the form of oil can give wondrous results to the hair, skin and the mind as it has the ability to penetrate deep into the body. It helps boost physical and mental functioning of the body. At a physical level its external application induces energy to the body, toning it up and providing flexibility to the muscles so it is vital for old age people also. Its application during the winter season would help reduce skin dryness and stiffness. It induces heat to the body, thereby improving the blood circulation of the body as well. It is extremely beneficial for athletes or office goers as it helps in reducing the stiffness in the legs, neck and gives strength, vigour and energy to the body. At a mental or emotional level, it helps alleviate tension, stress, headache and sleep related disorders. It pacifies the nervous system to a great extent. It is one of the best oils available in the market to help overcome depression. 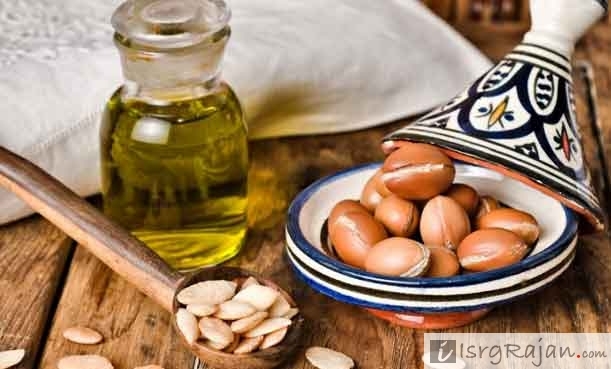 Jojoba oil is a crucial oil for the health of the skin and hair in particular. It works well as a moisturizer to the skin, balancing the oil glands of the skin, reducing fine lines and wrinkle on the facial skin. It also helps in treating acne or any kind of rashes or inflammation. This oil can be used on a daily basis as a body oil to heal roughness, cracks or soreness. It can be used under the eyes and over the eyelashes to induce oil against dryness. It can also be used to treat lips that are dark or cracked. It is also a remedy to back, legs and arms that are dark and suffering from persistent dryness. It can also be used to lessen stretch marks over the body. Jojoba oil has immense hair benefits as well. It helps add lustre, glow and shine to the hair. Works well as a cleanser as well as a conditioner to the hair. It also helps preserve the moisture and colour of the hair. Mustard oil, also known as “Sarson ka Tel” is one of those oils that is considered to be very warm in nature. It is able to quickly penetrate into the body inducing heat instantly. This hot property makes it extremely beneficial for the winter season. The Mustard oil should not be confused with Mustard essential oil. Both are obtained through different methods. Here, we are talking about Mustard oil. 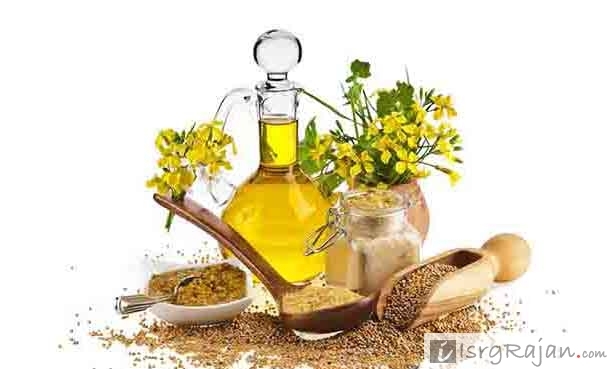 Mustard oil is the fatty vegetable oil mostly used for cooking. It is edible in nature and provides high amount nutrients to the body like Vitamin A, E and Omega 3, 6 and 9 fatty acids. It is anti-inflammatory and anti-bacterial as well. This oil can be consumed orally or even used for external application on the skin. It strengthens the heart, increase the appetite, provides cardiovascular health; pacifies asthma, cough, common cold and all the common ailments that get aggravated in the cold weather. It alleviates dryness and induces flexibility. It opens the pores on the skin, provides glow and the growth to the hair, activates the sweat glands and helps in flushing out the toxins of the body. 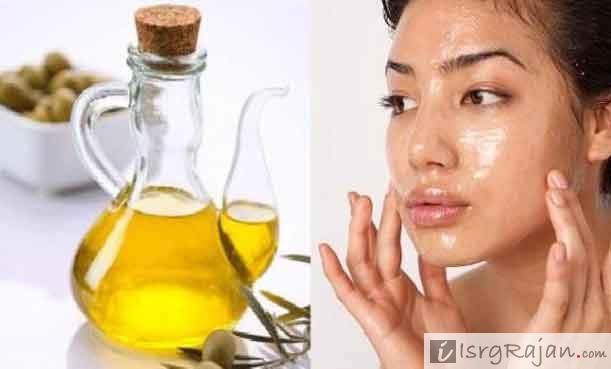 Mustard oil applied in the navel after bathing affects the facial skin and lips making them soft and supple. 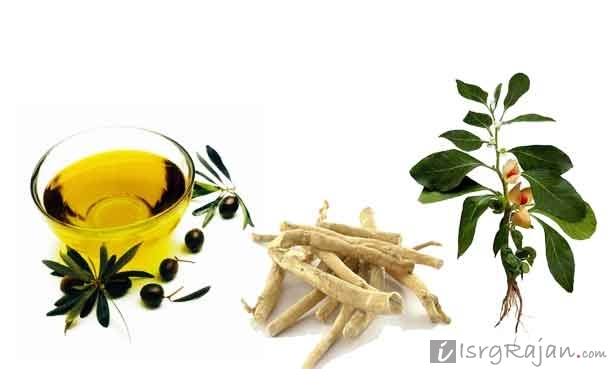 A miraculous oil for patients suffering from Paralysis, Bell’s palsy, Arthritis, Rheumatism, Fractures, Mania, Deafness, Impaired hearing and any disorder that leads to weakness, stiffness, swelling or inflammation of the body. Its external application provides flexibility, energy and strength to the muscles, joints, bones and nerves. It helps calm the nervous system, lessen headache, migraine, nausea, stress or any disorder that is causing discomfort at a mental or psychological level. The heat induced into the body through its external application helps in alleviating pain in the bones and joints, provides comfortability in the movement and elasticity to old age people suffering from weak and rigid body parts be it head, neck, arms or legs. As with all the oil, this one too helps in improving the blood circulation of the body wherever applied. Its property of penetrating deep into the body is particularly useful for paralysis of any body part. Upon application, it works great on the nerves causing them to gradually overcome the stiffness and this helps in bringing movement, energy and flexibility into the affected body part.